Lance Stroll has been formally announced as a Force India driver for the 2019 F1 season, completing his switch from Williams. Lance Stroll’s expected switch to Force India for the 2019 Formula 1 season has been officially confirmed, with the Canadian signing a long-term deal. Stroll will replace the outgoing Esteban Ocon to partner Sergio Perez at Force India next year, a move that has been anticipated ever-since his father’s takeover of the Silverstone-based outfit was completed in the summer. Off-track financial issues resulted in Force India falling into administration earlier this year but Canadian businessman Lawrence Stroll led a consortium to rescue the team, which was subsequently rebranded as Racing Point Force India. “This is the beginning of an incredibly exciting journey in my Formula 1 career," Stroll said. Force India team principal Otmar Szafnauer said the team sees "huge potential" in Stroll and hopes to create an "enviroment in which he can flourish." “I’m pleased that we can finally confirm Lance’s arrival to race alongside Sergio next year," he added. "Lance is only twenty and already has two years of Formula 1 experience under his belt, as well as a podium finish and a front row start. "We see huge potential in Lance and believe we can create an environment in which he can flourish. Stroll’s move to Force India follows the news that Robert Kubica will complete a remarkable return to F1 with Stroll’s former team Williams in 2019, where the Pole will join Mercedes protégé and Formula 2 champion George Russell. Confirmation of Kubica’s return over the Abu Dhabi Grand Prix weekend, along with Ocon being handed a reserve driver role at Mercedes for 2019, ultimately led to Force India’s formal announcement of Stroll’s arrival, despite some delay. 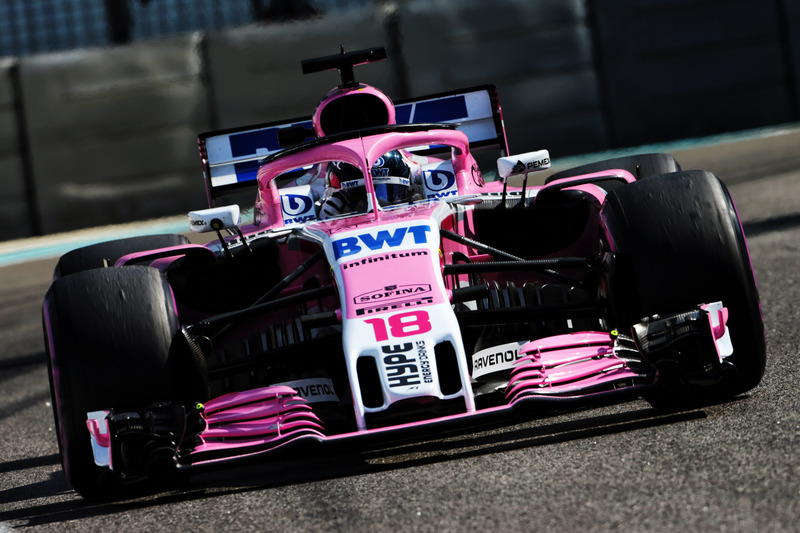 Stroll made his first outing for Force India during the two-day post-season Abu Dhabi test, where teams evaluated Pirelli's 2019 tyre compound. The 20-year-old scored six points for Williams during a torrid campaign in which the British squad fell to the bottom of the constructors’ championship. Stroll’s eighth-place finish in Baku and strong drive to ninth in Italy provided rare highlights. The official announcement means all 20 F1 seats have now been taken for 2019, completing next season's grid.